The Doctrine of Sanctification is one of Pink’s most insightful books, which is a high commendation indeed! In it he deals with the Biblical answers to the following questions poised in the Introduction, and more. “What is ‘sanctification’: is it a quality or position? Is sanctification a legal thing or an experimental?—that is to say, is it something the believer has in Christ or in himself? Is it absolute or relative?—by which we mean, does it admit of degree or no? Is it unchanging or progressive? 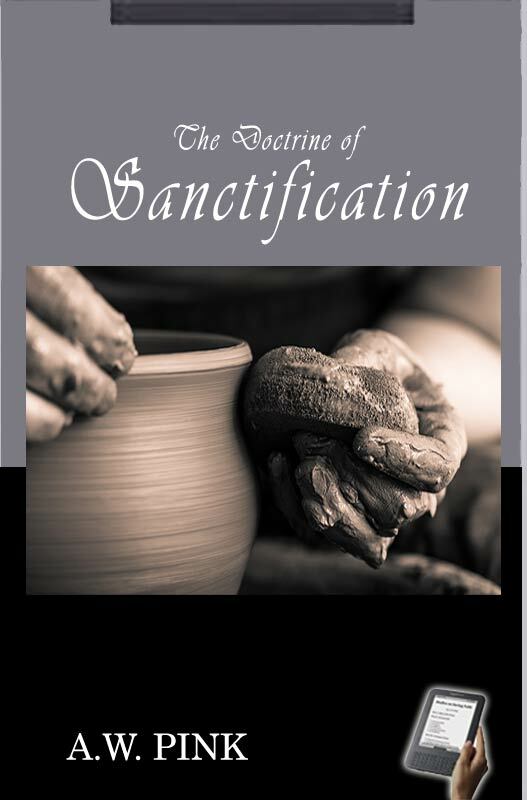 Are we sanctified at the time we are justified, or is sanctification a later blessing? How is this blessing obtained?—by something which is done for us, or by us, or both? How may one be assured he has been sanctified: what are the characteristics, the evidences, the fruits? How are we to distinguish between sanctification by the Father, sanctification by the Son, sanctification by the Spirit, sanctification by faith, sanctification by the Word?” May the reader be illumined by the Holy Spirit as he finds the answers herein! "These blessings walk hand in hand; and never were, never will be, never can be parted. No more than the delicious scent can be separated from the beautiful bloom of the rose or carnation: let the flower be expanded, and the fragrance transpires. Try if you can separate gravity from the stone or heat from the fire. If these bodies and their essential properties, if these causes and their necessary effects, are indissolubly connected, so are our justification and our sanctification"
Arthur W. Pink was born in Nottingham England in 1886, and born again of the Spirit of God in 1908 at the age of 22. He studied at Moody Bible Institute in Chicago, USA, for only six weeks before beginning his pastoral work in Colorado. From there he pastored churches in California, Kentucky, and South Carolina before moving to Sydney Australia for a brief period, preaching and teaching. In 1934, at 48 years old, he returned to his native England. He took permanent residence in Lewis, Scotland, in 1940, remaining there 12 years until his death at age 66 in 1952. Most of his works...first appeared as articles in the monthly Studies in the Scriptures published from 1922 to 1953 (and currently republished serially by Mt. Zion Publications). Pink was virtually unknown and certainly unappreciated in his day. Independent Bible study convinced him that much of modern evangelism was defective. When Puritan and reformed books were generally disregarded by the Church as a whole, he advanced the majority of their principles with untiring zeal. The progressive spiritual decline of his own nation (Britain) was to him the inevitable consequence of the prevalence of a 'gospel' that could neither wound (with conviction of sin) nor heal (via regeneration). Familiar with the whole range of revelation, Mr. Pink was rarely sidetracked from the great themes of Scripture: grace, justification, and sanctification. Our generation owes him a great debt for the enduring light he has shed, by God's grace, on the Truth of the Holy Bible.